It’s happened again. You’re stuck in the dairy aisle, staring at the yogurts — Fruit at the bottom. Flavored. Full-fat. Nonfat. Soy. Almond milk. Coconut milk. Sheep’s milk. Goat’s milk. Greek. Icelandic. Which one has the most probiotics?? You pick and swap mini containers, rotating each one in your hand to read the label, kind of starting to feel like a crazy person. You finally snap out of your daze and grab one you feel good about. You’re the marketer. How do you get people to pick your “yogurt”? Let’s be honest, your customers probably don’t know enough about “yogurt” to know that yours is better because it’s got x, y, or z and doesn’t have a, b, and c. However, customers know what they’re looking for, even if they don’t understand what they’re looking at. Everything from the product’s mission statement to the font style shapes people’s perception of whether or not your brand of “yogurt” is right for them. Successful brands appeal to the emotions and values of the people they’re targeting. They do so by speaking the same language as their audience, expressing their brand personality clearly using signals the audience is on the watch for. 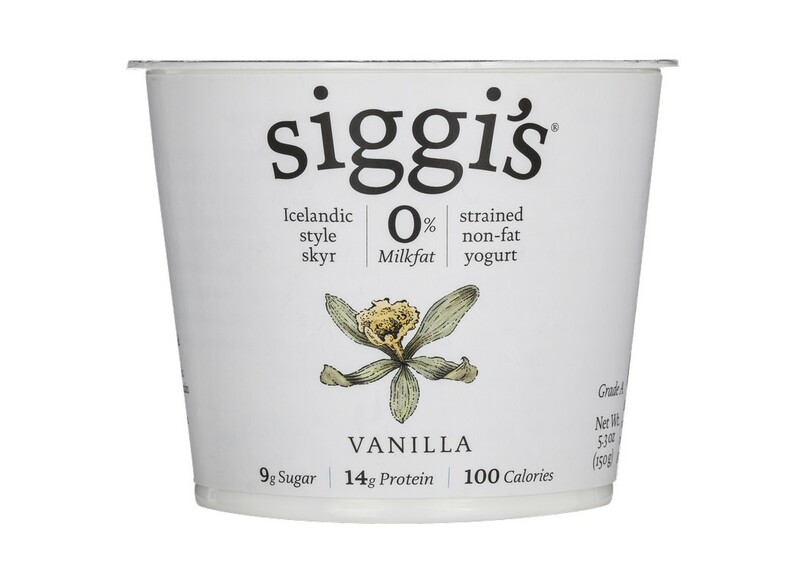 Siggi’s speaks the exact same language as their organic-loving, sugar-fearing, protein-fiending following, in order to communicate who they are and what their product is about. Needless to say, brands first need to establish an identity that, once communicated clearly, will resonate with an audience in order to build a loyal following. Crafting a solid brand identity is a tricky endeavor, however. If you’re a marketer or entrepreneur, you may be overwhelmed in the process of differentiating yourself from your competitors. Moreover, you may be hung up on how to empower your jaded, time-strapped and screen-addicted customers. Good news, I will walk you through the core elements of a brand to help you 1.) better understand and define your brand identity, and 2.) communicate it fully. Most likely you’ve heard these terms used interchangeably, but “brand image” and “brand identity” mean two separate things. You can google them and find a wide range of definitions from marketing gurus, but I’m going to spare you a few minutes and summarize here: “brand image” is how customers see you. “Brand identity” is how you want to be seen. Companies have to work hard on consumer experience to ensure that brand image aligns well with brand identity. When there is a mismatch between the two, it is important to figure out the gap and find ways to reshape your marketing or communication strategy. If you wonder why your brand isn’t getting traction or why the content you produce isn’t getting the traffic or conversion you hoped for, it’s very possible the problem is not the product. Instead the language used to communicate the product. By language I mean subtle nuances, like certain buzzwords or tone of voice, that is familiar to your industry but may not be appropriate for your audience. Of course, speaking a customer’s language means different things for different industries and contexts. In retail it means not speaking in “units” when your customers are talking “shirts.” It means speaking in numbers to a CTO and “ROI” to a CEO. It means using industry jargon when you’re a B2B, but speaking in layman’s terms when you’re a B2C. Now, I’m not suggesting you avoid jargon all together when communicating with clients or customers outside your industry. You don’t want to sound overly simplistic or else risk your own credibility. The key is finding the words your customers are looking for. The main takeaway is the importance of fully understanding your audience in order to effectively target them. The best way to do this is by listening to your customers. How do they talk about your product or services? What do they say about your competitors? What types of channels do they use to engage with your brand? Answers to these questions should help you identify the appropriate terminology and tone of voice that resonates with your audience. Ok, so you’re thinking more abstractly about your communication strategy. You have a better understanding of your audience. You’ve listened to them. You’ve observed them. You have heard how they communicate about your products or services. You understand the signals your audience is on the look out for. Signals? Oh wait, we haven’t covered those just yet. 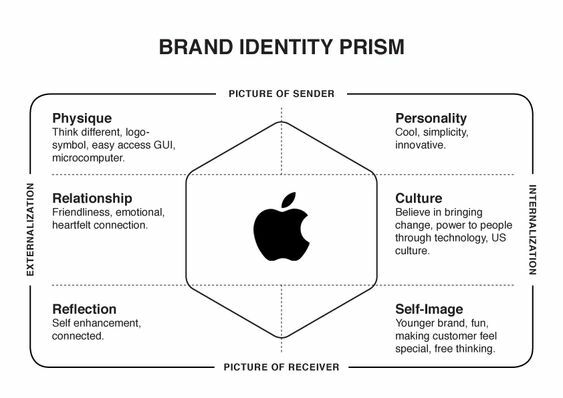 Let’s take a few steps back and examine the 6 key attributes of a brand using Kapferer’s brand identity prism, and focus on each attribute’s relation to the customer. 1. Physique — the physical attributes or extrinsic qualities, such as logo, color palette, website design, storefront aesthetic, etc. The physical attributes of a brand are the signals your audience is on the look out for — familiarity, consistency, and recognizability. Let’s look at Wired magazine, for example. Both the website and physical magazine provide an immersive experience for readers, one that brings them into a futuristic world of business, culture, science and design. Readers come to expect that same type of immersive experience with every new edition, otherwise they wouldn’t come back. This “experience” is a constructed one; a result of many thoughtful, strategic decisions, over things like the placement of content on a screen to the customized font style, that collectively speak to the Wired Brand. Let’s look at another example: Starbucks. You can walk into any Starbucks across the globe and everything about it will look, feel, and even smell the same. You could be traveling in the middle of nowheresville but when you see the Starbucks Siren, a wave of comfort comes over you. That’s powerful branding. 2. Personality — a brand’s character shaped by the way it communicates with its audience. The personality of a brand is more than the way it speaks of its products or services. It’s the way a brand engages its audience, whether that be through visual, auditory or written form. Brand personality serves a psychological function by giving consumers something to identify with or project themselves into. Look at Dove, for example. Dove embodies the personality traits of honesty, femininity, and optimism. You see a bar of Dove soap at your local convenient store and, while you can’t pinpoint it exactly, something about the soap exudes positivity and sincerity. How the heck does a bar of soap evoke such emotion? That bar of soap represents something powerful and human-like — Dove’s brand personality — that has been masterfully crafted and expressed through creative, socially responsible advertising campaigns to clearly communicate Dove’s values. 3. Relationship — the relationship consumers have with the brand’s product or services that is cultivated beyond consumer transactions. The relationship aspect of a brand is dependent on the engagement of a brand with its customers, and vice versa. Let’s look at the men’s e-commerce driven clothing brand Bonobos, for example. Bonobos was built with a clear mission: to provide excellent fit and excellent customer service. Walk into one of their retail stores called “Guideshops” and you’ll be greeted with a beer from one of the stylists while you wait. You’re treated as a friend at Bonobos, where the shopping experience is made to feel playful, peronalized and fun. The relationship attribute of Bonobos is possibly the driving force of its business. It’s mission, after all, is to build top notch customer service, which is why the brand has two separate Instagram accounts, one for their “Ninja” customer support team and the other for the clothing brand. Customers may even find pictures of themselves on the Ninja Instagram feed, showing how the brand values their loyalty and friendship. 4. Culture — a system of values and principles that drives the behavior, decision-making, and growth of a company internally, while influencing the customer experience externally. Great brands convey a unique culture, and the way they convey that culture is how they differentiate themselves from competitors. 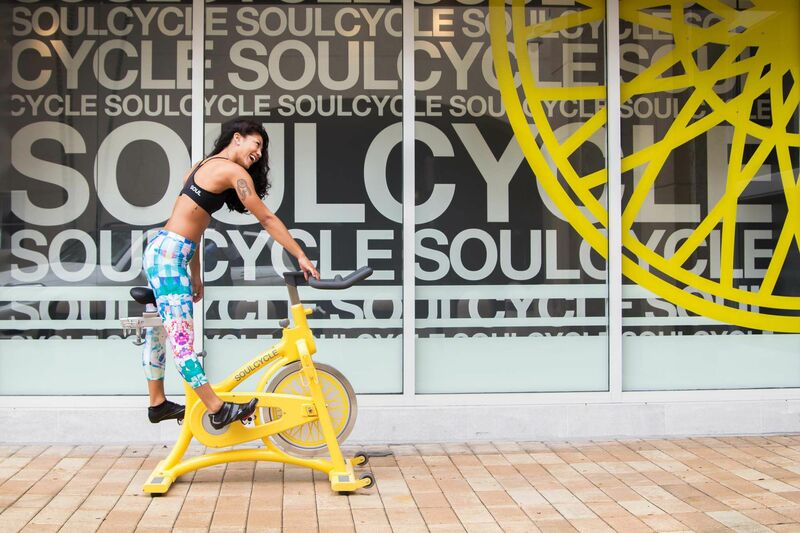 Let’s compare two spin studios: SoulCycle and Swerve. On the surface, the two studios offer the same thing: high-energy, cycling classes that take place in dark rooms with loud music. But when you compare their websites or walk into each physical studio, you instantly understand that the culture is different. Swerve values teamwork, with the motto “we ride in TEAMS.” This influences the physical layout of the bikes, as riders are placed in color-coated bikes during the workout that represent their team. The sense of camaraderie is apparent even after the workout, with the presence of a common area centered around a smoothie bar, designed to encourage post-class socializing. 5. Reflection — how a brand promotes or reflects the values of the ideal customer, not necessarily the target customer. A brand’s reflection of an ideal consumer helps the audience understand its relationship to its product and services. The goal is to appeal to a broad audience, not necessarily the target customer. 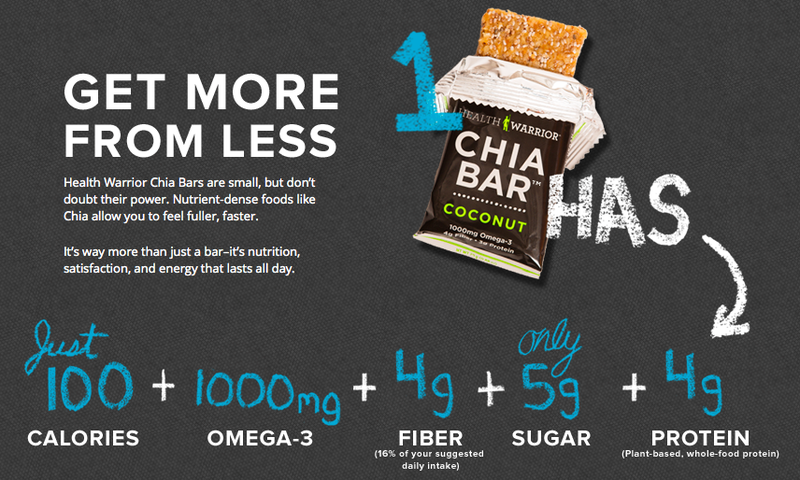 Let’s look at Health Warrior, the brand that sells energy bars. Health Warrior’s plant-based protein packed bars definitely appeal to the high-intensity athlete. The more diet-conscious consumer may opt for their 100-calorie Chia bars. More generally, however, Health Warrior’s products appeal to the consumer who desires a healthy lifestyle. It wouldn’t make sense for the company to brand itself as a bar for athletes, even if the target customer is the high-intensity athlete, as this would isolate a good portion of their market. The gender-neutral term “Health Warrior” is broad enough that it speaks to the Iron Man junky, the marathon-running enthusiast, the yoga and mindfulness guru, and even the person who made it her new year’s resolution to lose a few pounds. It’s mission, “to inspire healthy diet and exercise habits, fueling that momentum with our radically convenient superfoods” reinforces the values of each persona that fits this broad audience. 6. Self-image — how a customer sees him or herself related to the brand. Consumers construct their identities and present themselves to others through the brands they choose. Pass someone on the street wearing a tailored suit, Christian Louboutin heals, and carrying a Stumptown Coffee — you immediately deduce the person is a high-powered business professional, who maybe works in the fashion industry, and appreciates high-quality coffee. Brands can effectively target their audience by resonating with that audience’s real or desired selves. 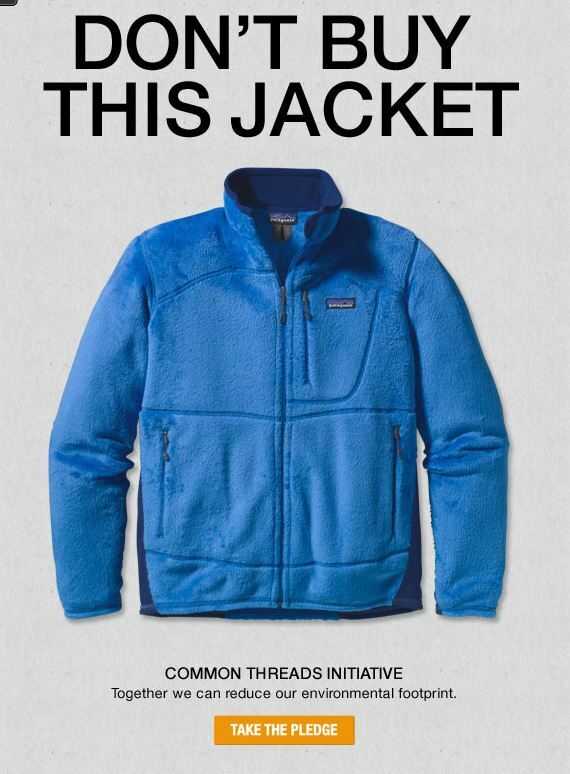 Patagonia, for example, targets the environmentally conscious and upscale consumer. Someone who frequently shops at Patagonia doesn’t just appreciate the quality of its products but likes the idea of buying from an environmentally friendly company. A related campaign included a 28-minute documentary film Worn Wear showing rugged fans wearing the Patagonia clothing until it comes apart at the seams, sewing the clothing back up again, and then recycling the parts that are beyond repair. These campaigns led to significant increase in sales for multiple reasons: 1) they gave credibility to Patagonia’s mission statement to “build the best products, cause no unnecessary harm, use business to inspire and implement solutions to the environmental crisis”; 2) the ads read in a genuine and informative manner, appealing to the socially conscious and discerning customer; and 3) they empowered customers who desire to be more socially and environmentally responsible. You’ve been fed a lot of information, it’s time to digest. By now you should 1.) recognize the importance of communicating clearly to your customers by speaking their language and not bombarding them with technical fluff; 2.) understand the need for the physical attributes of your brand to be consistent, recognizable and familiar in order to help build a loyal following; and 3.) recognize that a brand identity is multifaceted and requires a clear understanding of your company values as well as your company mission and vision. Ok, back to the yogurt. Not having a clearly-defined brand strategy is like treading water in a vast ocean. You may get by in the immediate term, but you’ll likely drown in the process of competing with the better swimmers. Everything from the direction of your business to its organizational structure to the productivity of your employees depends on the vitality of your brand identity. Moreover, the loyalty of your customers and the future of your business depends on it. My advice to you: Do your research. Take the time now to craft a thoughtful branding strategy. Jot down your values. List them. Sort them. Narrow down the list to 4 or 5. Then hone them. Define your mission and vision statements. Run them by stakeholders. Get your team involved. Make sure they align with your values. Once you’ve crafted a solid brand identity to communicate across all your marketing and advertising campaigns, you will feel much more confident about the current and future trajectory of your business. Your brand identity will define your competitive edge. It will empower your employees and delight your customers. Most importantly, a well-developed brand identity will stand and speak for itself. This means the next time customers shop in the “yogurt” aisle, you won’t have to do much to get them to pick your brand. Like this article? Check out what else we have to say—from marketing to tech to everywhere in between—here.